The lead single from their ''A New Dope'' album. Features Kool Keith on the B-Side. 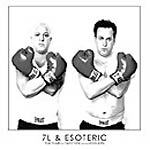 Produced by 7L & Esoteric.